You can easily master format any smartphone if you know a few tips and tricks about the way it works. Being aware of its software’s performance, as well as some of its most important features definitely helps a lot. Given that every phone is a little different, they can’t all be brought back to factory soft by using the exact same procedure. 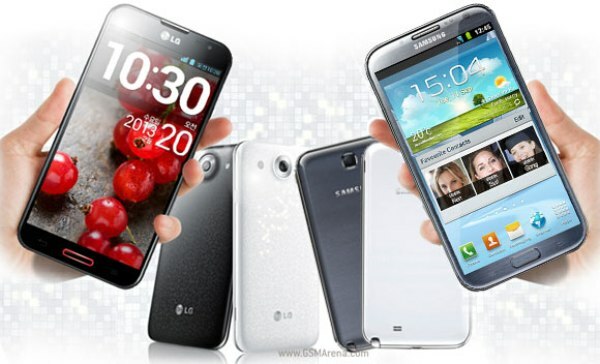 This is why our article will be your guide in understanding how to hard reset the LG Optimus G Pro E985. While the way you initiate the operation itself might differ from one model to the other, the precautions you need to take are the same. Considering that a master reset is a way to quickly remove all virused files from a phone and bring it back to original settings, it becomes obvious that your internally-stored files will also be gone. In order to avoid losing important stuff, we recommend doing a backup – in case you already have one, make sure it’s up-to-date. Some of the strongest characteristics of the G Pro E985 are its 5.5 inches LCD, as well as the two amazing cameras it comes with. The 13 MP one is the main camera – it comes with auto focus and LED flash and also takes video – while the frontal 2.1 MP one is definitely not worth overlooking, either. To make the entertainment experience complete, tough, this phone is also equipped with the Dolby mobile sound system and a strong 3140 mAh battery that lasts forever. The device can store up to 16 or 64 GB depending on the option you chose, but it also supports micro SD cards. This might be an important point to look at when doing your backup, as it helps you transfer all of the 65 GB into a safer place during the reset. The operating system used by the G Pro is Jelly Bean from Android, and the Quad-Core 1.7 GHz processor guarantees a great performance of this OS. When it comes to initiating the factory restore, there are many ways and all of them are fairly simple to follow. Given that the battery is easy to take out and place back inside of the device, we would like to advise you to start with a soft reset. Press the Power key for a couple of seconds, and then release this one when the phone is turned off. Make sure that the battery is not empty and remove it from its slot. Turn the phone on and charge its battery. Open the Backup & Reset section and click on Factory Reset. Choose the Reset Device option and press Delete All. Switch the phone off and remove the USB cable. Press Volume Down + Power and hold both buttons. When the logo appears, release them and wait for the menu. 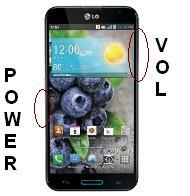 Use Volume Down to select Factory Reset and press Power. Press the same Power key once again and the reboot will begin.